When I wanna relieve some stresso I just grab my Minipresso. 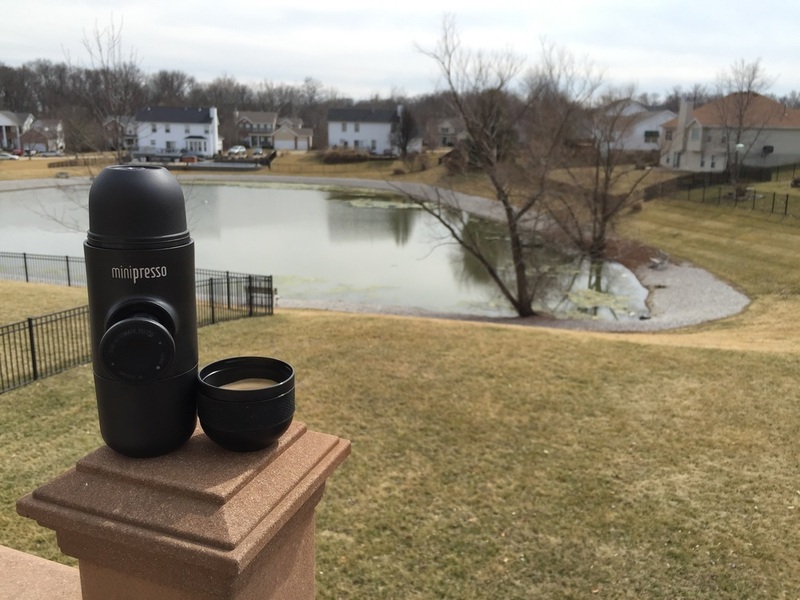 Visit http://www.wacaco.com for more information on the Minipresso. It's a Thursday and I'm taking back a day from the work week. Why don't I do this more often? Having a 3-day weekend is great but breaking up the work week is even more refreshing at times. It actually feels a bit rebellious to see those around me heading off to work while I'm still chillin in my PJs. But it is Spring Break so I'm thankful to spend this time with my family. Life is crazy folks. We need to take breaks every now and then. Whether it's a 10-minute walk at work, a walk around the block at home or an entire day away from the grind. Find some time to break free. Listen to your body and recognize the signs when you're in need of a break. Wandering mind, stress, clouded memory, loss of focus...these are just a few of the Master Cautions your body displays when you're in need of some time away. Don't let them pile up and lead to a hard crash. I've seen and felt this. It's not fun and certainly scary. We believe we can power through it and just catch up later, but this is the worst kind of debt to inherit. It's the kind of debt that will kill you if you're not careful. Whether you're working outside the home or a stay-at-home parent, schedule yourself some breaks throughout the week and take back some time for yourself. It's starting to rain....think I'll go play some Call of Duty. Cheers!